What did it mean to found a literary journal on the Web at the dawn of online publishing? And what kinds of archives and physical objects tell the story of digital publishing? Even online publishing relies on paper—correspondence sent by mail and fax, as well as printed-out proofs, contracts, books, permissions, artwork, and other supporting documents. Electronic texts also exist in the physical world in the form of hard drives, CD-ROMs, and floppy disks. 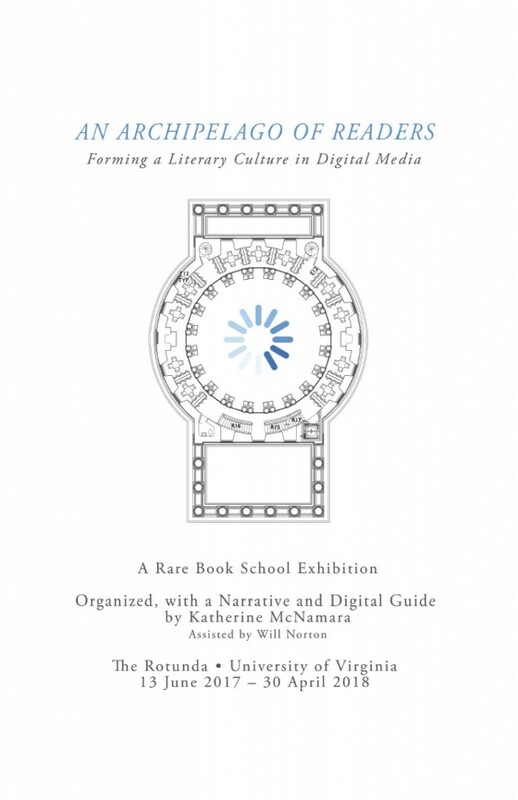 And the digital serves as a new medium for audio and visual representations of literature and art. Simply put, the Web embraces a myriad of media, whether textual, aural, or visual. Founded in 1997, the online quarterly literary journal Archipelago sought to negotiate the shifting sands of literary trade publishing in the 1990s during rapid changes in the ownership of publishing houses. Katherine McNamara, a writer caught in the center of this upheaval, was driven to document the many changes that she observed around her, and to, as she put it, move into the “unoccupied space” of the Web. Reaching out to contacts she had made in the publishing world, she brought together publishers, editors, writers, artists, cultural critics, and many other agents invested in literary culture as it stood at the end of the twentieth century. McNamara pursued their stories by conducting interviews as part of a series, “Institutional Memory,” that probed the inner workings of this world. As the editor of Archipelago, she cultivated writers from across the globe, publishing key texts in the new digital environment, and making many of them available through translation; in the digital realm, these writers could now reach a much wider audience. This exhibition not only reveals the new freedom afforded by online platforms, but also the constraints placed upon text and images in the early days of the Web. Throughout the exhibition, you will see how Archipelago developed from 1997 to 2007, embracing and transcending the technological limitations of online publishing. Just as Archipelago pushed against the boundaries of online publishing in the late 1990s, so too it defies the typical conventions of rare book and archival exhibitions. This exhibition is told not from the perspective of a curator, as is generally the case, but rather through the eyes and voice of the editor herself—with her recollections and personal documents telling the story she lived. McNamara and the materials from her private archive speak for themselves, freely, and in some instances, un- conventionally. You will read firsthand about the powerful emotional responses of those individuals who devoted their lives and energies to literary publishing, and who witnessed that world as it seemingly crumbled around them. This exhibition is about their perspective, and it explores not only the dramatic changes in publishing at the end of the twentieth century, but also the impassioned efforts of McNamara and her collaborators to create a literary culture online in response to one that seemed to be failing in print—forming a new community, an archipelago emerging from a digital sea. See the Digital Guide for more information. Katherine McNamara is the founding editor and publisher of Archipelago Publishers, Inc., and its imprint Artist’s Proof Editions. McNamara has resided in Charlottesville since 1995, having relocated to the town after the death of her husband, Lee Goerner, a respected literary editor for the New York-based publishing house Atheneum Books. In addition to her work as a digital publisher, she is the author of A Narrow Road to the Deep North: A Journey Into the Interior of Alaska (Mercury House, 2001). Will Norton, a first-year Echols Scholar at the University of Virginia, assisted with the organization of this exhibition.